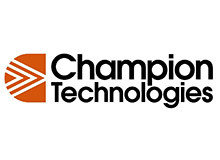 Since 1927, Champion Technologies has been an industry leader, providing custom molded friction products and composite woven materials for our clients in Ohio, Tennessee, Pennsylvania, West Virginia, South Carolina, Georgia, and Florida. At Industrial Brake & Supply, we provide a complete line of custom molded and aftermarket friction discs in a variety of materials and coefficients of friction, from heavy duty to OEM equivalents. Our extensive selection of materials includes molded or woven and high or low co-efficient products. For safety, all of our friction disc products are non-asbestos. When it comes to our high quality, heavy-duty composite woven materials, AFT 200 is known as the “woven wonder." Able to withstand water and oil applications, AFT 200 is aramid reinforced and works great with grapple, clutch and gear applications. To learn more about our high quality offerings in the areas of custom molded friction products and composite woven materials, please contact Industrial Brake & Supply directly.